Within minutes, Morehouse College student Julien Turner's extra credit video on cell division became a viral hit. Morehouse College sophomore Julien Turner wasn’t kidding when he tweeted “I’m about to drop some fire” at 7:30 p.m. on Thursday. 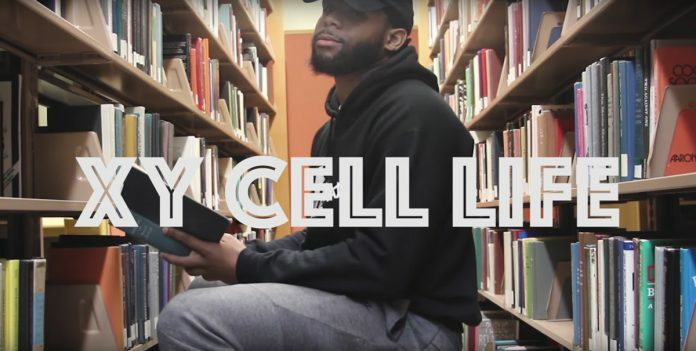 Forty minutes later, he tweeted a video of himself rapping about cell division to the beat of Lil Uzi Vert’s “XO Tour Llif3.” It has since blown up as a viral hit—garnering thousands of comments, and hundreds of thousands of retweets and likes. Turner made the video for his biology class, where the professor had promised students extra credit if they made a music video about any topic they had discussed in the class. It didn’t take Turner long since filmmaking is his passion—he and his younger brother, Justen, even have their own company, Dreadhead Films. The marketing major is no stranger to success. He maintained a 4.0 GPA while being captain of his varsity football and track teams throughout high school, receiving multiple football scholarship offers from across the country, and eventually choosing Morehouse College, where he could pursue his dream of filmmaking with his brother. How did you start the idea? I called one of my football player friends up and said “Hey, I’ve got a song, do you want to come record this for me?” and he recorded it in my dorm and I went to the library to record the other half. After posting it on Twitter, when did you start to realize it was taking off? And it’s funny because this video is corny for us. This is one of the worst productions I’ve done because we did it in a day and I had a football player holding the camera. The video is the least reflective of our work, but this is the one that blew up so we’re trying to take advantage of as much publicity as possible. What celebrities have you seen interact with the tweet so far? I’m really close with Miami Dolphins linebacker Raekwon McMillan and I know he saw and retweeted it within like 15 minutes—so that might have given it a little boost. I saw that Shaun King had retweeted it within an hour. John Legend had liked it. There’s been a few other big names. But I think John Legend seeing it was probably the biggest one of my night. He approves of my song. John Legend liked my song lol. Issa sign. How can you handle all the notifications you’ve been getting? I really can’t see because my notifications are so deep right now. I’m actually on my computer because I can’t pull up Twitter on my phone right now, it’s glitching. It’s literally crashing on my phone so I’ve carried around my computer all day to try to respond and send DMs and check the progress. Okay, after all that hard work—did you actually get extra credit? Yeah I did. It’s half a letter grade. I don’t know if I’ll need it yet until I take this next test but I’ve never been one to turn down some points. Do you think you’ll get an A? So talk to me about Dreadhead Films, your film company with your brother. We’ve been filmmaking for about five, six years now. My brother was probably 9 or 10 and I was 14. We got a camera and we’ve been honing our craft ever since. Now we have a few films out that have won awards, we travel the country going to film festivals—we are the youngest filmmakers there, sometimes the only African American filmmakers. So we’re trying our best to be noticed for our work rather than our age and to be seen as professionals at this point because we’ve been doing this for a while now. Our goal is to eventually do sci-fi films or a sci-fi series that tackles different social issues, kind of like Black Mirror. Just to fund those types of projects that we do, we’ve been hired by local high schools in Columbus, Ohio to do football coverage, basketball coverage; we’ve done weddings, senior photos, commercials, ads—we’ve kind of grown big in our area as a respectable production company just to be able to fund our personal projects in the sci-fi area and social issues. Eventually I want to be able to work with my brother to be able to make an impact and have a voice for people who don’t have a voice. Football was kind of my avenue in getting to these schools where I would have the opportunity to pursue film. When I was getting recruited I basically chose Morehouse based off of the fact that I would have film opportunities or the name would ring in the film community given Samuel L. Jackson and Spike Lee went here. I actually wanted to add why I had a do-rag on during the video. It was just because I wanted to be able to attack the stereotypes with rap and being a black man with a hoodie and a do-rag. I was trying to counteract those stereotypes with education and intelligence and being approachable and having fun. I didn’t know how big the video would blow up, but in the end I’m very happy that I’m wearing a do-rag and a hoodie at the same time. With what’s going on in America right now, I think that was kind of a good twist to add.